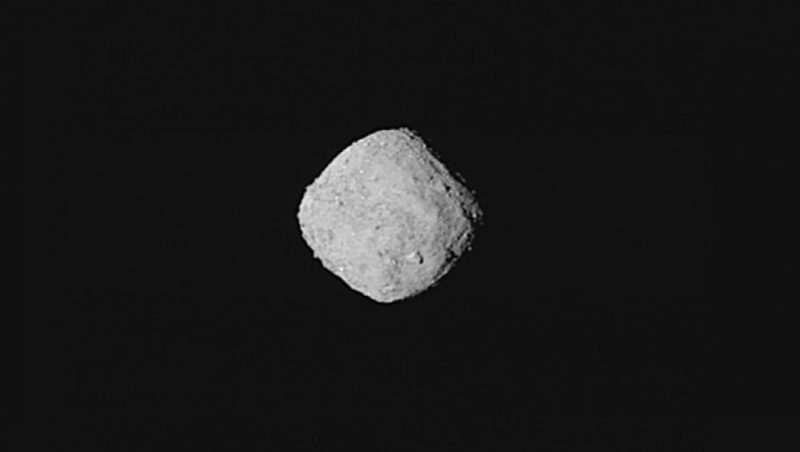 This "super-resolution view" of the asteroid Bennu was created with eight images taken on October 29, 2018, from the NASA spacecraft OSIRIS-REx at a distance of approximately 330 km. Image via NASA / Goddard / University of Arizona. 7:00 UTC on Monday, December 3, 2018. Translate UTC into your time. NASA broadcasts a live event from 16:45 to 17:15 UTC to highlight the arrival of the agency's first asteroid repatriation mission. You can watch NASA TV, Facebook Live, Ustream, YouTube and NASA Live. NASA TV also broadcasts an arrival preview program from 16:15 UTC (11:15 am EST). 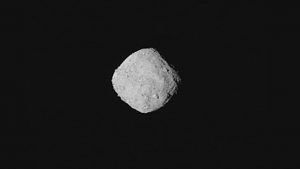 This animation consists of 5 of the first images of the asteroid Bennu on the OSIRIS REx mission, which was acquired on August 17, 2018 at 2.3 million km, or nearly 6 times the distance between Earth and Moon. The asteroid is visible as a moving object in front of the stars in front of the constellation Serpens. The spaceship is due to arrive on December 3, 2018 at the asteroid. Image via NASA / Goddard / University of Arizona. OSIRIS-REx (Origin, Spectral Interpretation, Resource Identification, Security Regolith Explorer) was launched in September 2016. Bennu slowly approached. OSIRIS-REx is NASA's first mission to visit an asteroid near Earth, measure its surface area, collect a sample, and bring it to Earth. The spaceship will spend almost a year measuring the asteroid, with the aim of selecting a safe and scientifically interesting location for taking the sample. This asteroid sample is expected to return to Earth by free fall from space until it reaches a height of 33.5 km when a first parachute is deployed. At 3 km the main parachute will be released bringing the capsule with their precious cargo from Bennu for a gentle landing in the Utah desert on September 24, 2023. Conclusion: The space probe OSIRIS-REx is scheduled to hit its asteroid Bennu on Monday, December 3, 2018, at approximately 5:00 pm (noon EST).